Once upon a time, a very brave Aussie bloke jumped into the sea, wrestled a shark to shore, stuck it in the trunk of his car, and took it home to show the neighbours. Agostino Petruccelli - or Aggy as his mates call him - spotted the two-and-half-metre shark hunting in the shallows while he was taking a stroll along the beach. After watching the creature for several minutes, Aggy jumped in and grappled with the beast. Soon he had wrestled the shark to shore, whipped off his belt, being careful that his trousers didn’t fall down, wrapped the sturdy leather strap around the powerful jaws and carried the thrashing shark to his car. At home, when Aggy dragged his prize from the trunk, bemused neighbours gathered to have a look – and a few hollered and jumped as the shark decided to have a last minute flap around. It’s still a mystery what exactly the shark was doing when Aggy latched onto it, but the fearsome creature had bite-shaped injuries to a fin, leaving locals wondering whether he’d been bitten by another shark or even Aggy himself. But perhaps that beachside enigma will never be solved – because Aggy cooked up his catch on the barbeque and served up succulent shark fillets to all his friends. Not everyone, however, was impressed with Aggy’s awesome shark wrestling feat. 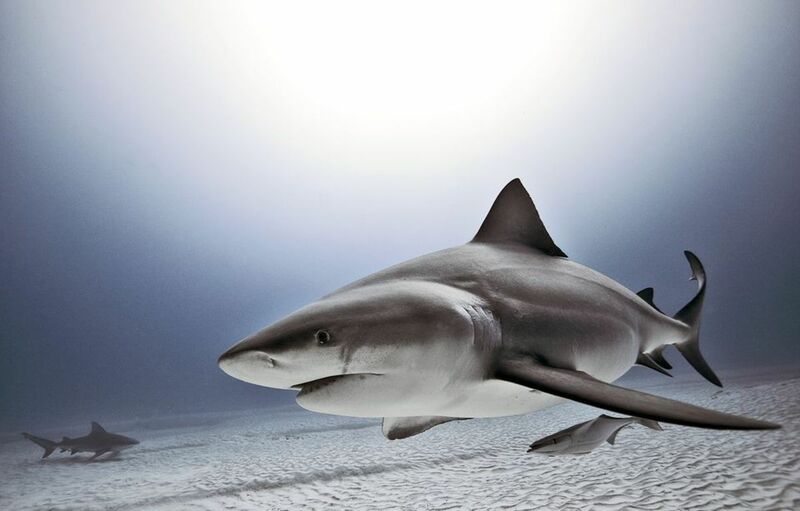 Many divers regard sharks very highly, and have been fighting hard to protect their toothy friends. In fact, there was uproar over the species in Aggy’s trunk, believed to be a protected grey-nurse. But it was soon revealed that the shark was a breed of whaler that is not protected and can be safely cooked up and eaten with fries and salad if so desired. 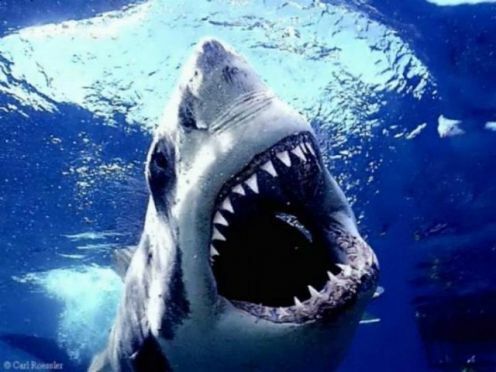 Are There Great White Sharks in British Waters? "Hoorah! Another happy ending." - Ummm... the shark would like to state her side of this: "Being immortalised by a good writer was worth the pain. But those bite marks... were actually bonk marks..Did he say he was wrestling me?" Thanks for a good read Mark. I thought it was a leg pull at first. Nice Story! Actually it's a testosterone thing - we can't help it. Heck, I might try shark wrestling, rather than mow a lawn! Gotta love a natural landscape. More fun than mowing the lawn you have to admit. Leave it to a guy! I wouldn't be surprised if my husband pulled something of the sort.